Do You Wash Your Face Correctly? Kim K Sometimes Doesn't! Do You Wash Your Face Correctly? Kim K Sometimes Doesn’t! Kim Kardashian West sometimes sleeps with her makeup on. 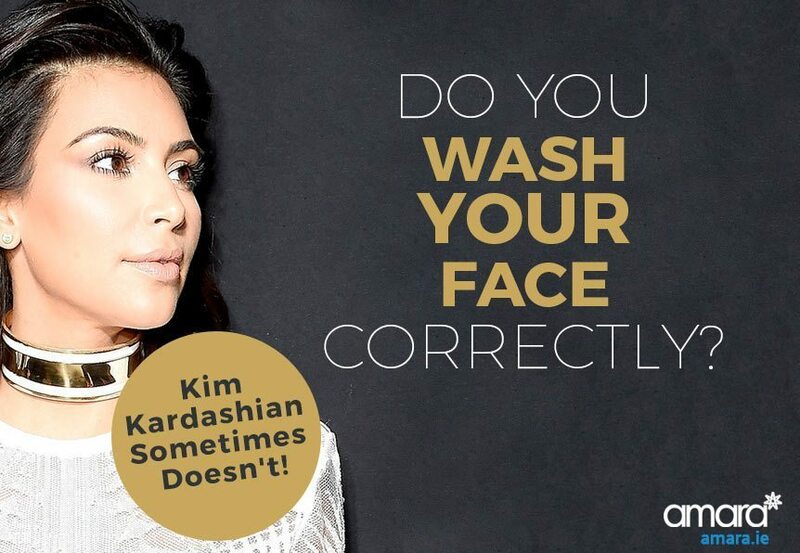 And it got us thinking, are you washing your face correctly? Kim then said that she was inspired by Charlotte when she was feeling lazy that she would sleep in her makeup so she didn’t have to redo it the next day. Although Charlotte Tilbury may have ‘magic creams’ it is extremely bad advice to sleep in your makeup. This will clog your pores and prevent your skin from breathing and healing as well as causing breakouts. With 2 of the most influential women in beauty breaking rule no 1 it got me thinking, how many women aren’t washing their makeup off correctly if at all? We all have different skin conditions such as acne, rosacea, redness, psoriasis to name a few. What you use on your face should be tailored to your skin to treat and maintain any conditions that you may have. Dr ZO Skin Health by Dr. Zein Obagi is tailored to your skin specifically, to help with any concerns that you may have. Most products have instructions telling you exactly how to use them, but do you ever properly read them? To get the most out of your cleansers you must use them for a minimum of 60 seconds on your face. Damp your face with tepid water and then use a 20c size dollop of the cleanser. Rub this onto your face in circular motions for 60 seconds. Rinse again using tepid water making sure all of the product is off. 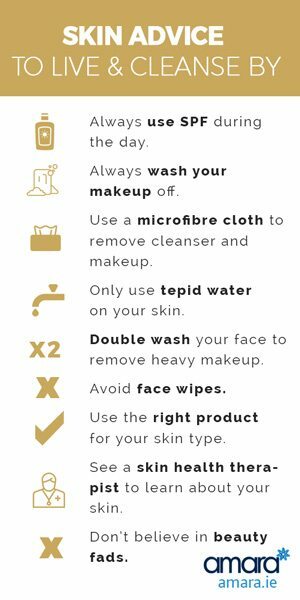 Quick Tip: Use a microfibre cloth to help remove heavy makeup and use a fresh cloth for every wash as water allows bacteria to build up. It is important to use an SPF no matter the time of year, the sun’s UV rays are harmful to your skin all year round. The SPF will also protect your skin from impurities in the air. It is important not to use a cream with SPF while you sleep as this prevents your skin from breathing. Use a cream that feeds your skin as well as allowing it to breathe. Your skin needs to breathe at night as it is blocked during the day from makeup. Allowing it to breathe allows it to heal. Simple enough right? Get into the correct habit of washing your face with products that you love. Less than 4 minutes a day is all it takes to prep yourself for beautiful skin. We hope you’re practicing all of the skin tips above but if you want to give your skin a deep cleanse and boost then we’d love to help. Book yourself in for a skin consultation by using the form here, calling us on 01 676 1074 or emailing us to book in.